No, we’re not going to talk about the short-lived comic book series with the same title, written and drawn by the Eisner Award winning Jim McCann and Janet Lee. Today we’re taking a look at a much more obscure take on the Sin City, ridden by the Living Dead – a perfect treat for all those of you who enjoy a bit of carnage, blood, and post-apocalyptic survivalist environment ahead of Halloween. Players, meet Lost Vegas, the latest addition to the Royal Vegas game library. What makes the Lost Vegas video pokie interesting is that players can choose sides, depending on their personal tastes. 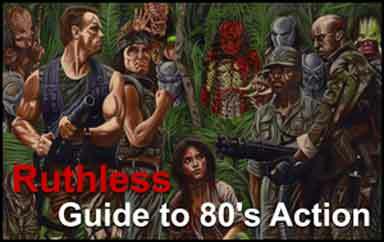 They can play with the Survivors (a ragtag team of gamblers, janitors, police officers, and other badass characters) or the Zombies (divas, Elvis impersonators, newlyweds, and nurses). 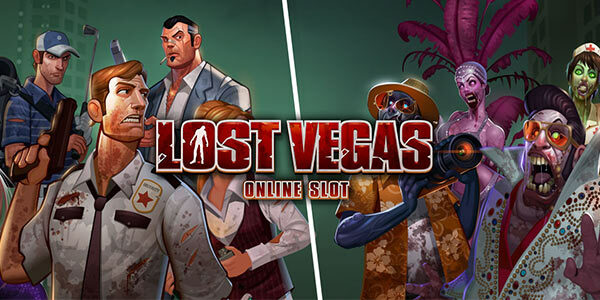 No matter which side they might choose, Lost Vegas is equally exciting – and filled with wins. Big, gruesome wins, that will make the players scream (whether they will be screams of joy or horror, it remains to be seen). Lost Vegas comes with a handful of random features that will make the players’ blood freeze with horror and joy at the same time. Both of them come with a handful of cash thrown toward the player – and one of them is a literal handful. Any non-winning spin can end with either the power going out (Blackout, when all Survivor and Zombie symbols pay out bonus amounts), and the Zombie Fist of Cash, which randomly arises from the screen and literally throws a fistful of cash toward the player. Three or more Biohazard scatter symbols landing on the reels will trigger the game’s Free Spins feature (or a single such symbol, if it happens to be on the reels during a Blackout). Depending on whether you choose the Zombies or the Survivors, the Free Spins will come with a special feature to put even more cash into the players’ pockets. The Survivors Free Spins will see all the lesser winning symbols (10 to A) disappear from the screen, while also adding cash to the players’ Stash. All the stash finds its way into the players’ bankroll at the end of the Free Spins. The Zombies Free Spins will see full Zombie stacks infect the whole reel they land on. Any Wild symbol landing on an infected reel cover the whole reel, maximising the winning potential of any spin. The Free Spins continue until all the reels become infected. Lost Vegas, along with hundreds of other pokies (some of them spooky, others funny, but all of them are fun) can be played free (or for real) at the Royal Vegas Online Casino. The Royal Vegas has not only an excellent library of games, but also a selection of great specials and recurring promotions, all this with the utmost attention to its players’ safety, security, and privacy.